Most referrals in Jeff’s high-stakes and highly nuanced cases come from other attorneys, both within and outside the firm. Throughout his 30-plus years of practice, Jeff has built a reputation for tenacity and results in his prosecution and defense of complex commercial cases with substantial civil and regulatory exposures. 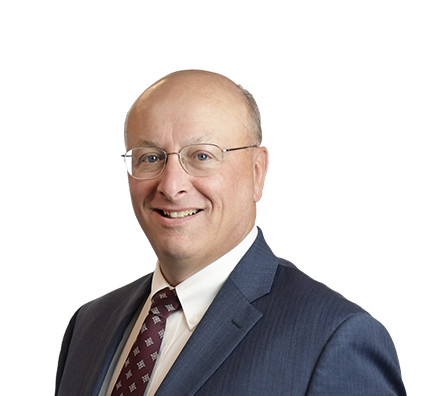 He has served as lead counsel in some of the largest aggravated civil fraud and business tort cases filed in federal or Wisconsin state court, a number of which had parallel criminal or regulatory proceedings. Jeff’s experience spans breach of contract and creditors’ rights; intentional business torts such as fraud, embezzlement, conspiracy and theft of trade secrets; negligence; and professional liability. He also is proficient in employment law, real estate litigation, and fidelity and insurance claims. He is experienced in litigating complex arbitrations before the American Arbitration Association (AAA) and Financial Industry Regulatory Authority (FINRA). Additionally, he counsels businesses and individuals on state and federal regulatory investigations and proceedings. Clients appreciate Jeff’s demonstrated skill and deep experience in predicting likely results based on discovered facts. They also like his responsiveness, which helps lessen the stress during critical litigation. Jeff successfully represented a broker-dealer before the Financial Industry Regulatory Authority (FINRA) arbitration panel in a case involving two former employees who took, without permission, individual customer lists. They provided the lists to their new employer and successfully converted business, contrary to the interests of the client. The employees sought to minimize their conduct, asserting that the covenant not to solicit was invalid as a matter of law, that custom in the industry allowed the names to be taken anyway, and that alleged mistreatment by the existing employer excused post-employment obligations. But thanks to Jeff’s persuasive arguments, the panel found that the client was entitled to compensatory and punitive damages, including attorneys’ fees. Represented financial advisors, lawyers, bankers, insurance agents, real estate brokers and other licensed professionals in claims involving professional negligence, breach of fiduciary duty or contract claims. Recent case experience involved claim with liquidated damages in excess of $100 million. Successfully represented company whose employees allegedly engaged in commercial bribery, resolving all claims against client before trial. Jury verdict against other alleged co-conspirators after lengthy trial was in excess of $200 million. Represented company in civil lawsuit against senior manager who embezzled funds and accepted illegal gratuities from supplier. Succeeded in recovering substantial damages through restitution, insurance or post-judgment civil collection remedies, even though employee was sentenced to prison. Obtained summary judgment on behalf of bank that sued its borrower for collection on defaulted note. Borrower had counterclaimed for breach of fiduciary duty and lender liability based on alleged misrepresentations and other acts and omissions of loan officer. Counterclaim was dismissed. Secured final judgment in favor of client regarding scope of easement that burdened client's lakefront property. Court of Appeals held that based on admissible trial evidence of record, client was entitled to judgment as matter of law. While Jeff enjoys golf as a way to relax outside of the office, he says that in some ways, the game parallels his legal work. In golf, you develop a strategy for each hole and implement decisions to achieve the best possible result – the fewest number of strokes to the hole. Likewise, he says, clients like to take the fewest steps possible to get to their desired result in litigation.